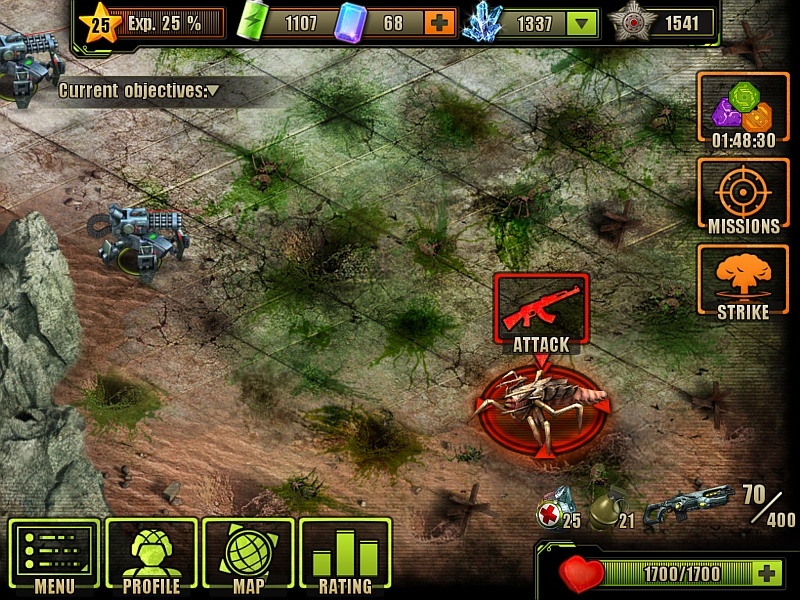 The Overlord is one of the bosses in the Evolution: Battle for Utopia game. Are you allowed to just Phoenix nuke this prick when he shows up and still get the Acid pistol research? I think I can safely say I’m at the point where I could probably take it out in a straight fight (recently acquired Stormtrooper Armor, upgraded Bulldog and Frisky to a moderate extent) but I’d just like to know if it’s always a failsafe option. I know you can’t nuke bosses after trying it myself, but idk if the Overlord counts as a traditional one, being a random encounter? all at once in a single unattended session? Like for example, if I went to sleep tonight and the Overlord spawned, is it possible I’d wake up the next morning with the invasion timer down to zero? Or does the timer not start until the player’s entered the game already? To get the Acid pistol research you must kill the Overlord in a straight fight. Phoenix missiles work on random encounters but you won’t get the research if you kill the Overlord with phoenix. And the timer doesn’t stop even if you leave the game. You sure? I just nuked him last night and got it perfectly fine. Anybody know if a turret after level 45+ can kill this thing? Some tips regarding on how to beat this “prick” please! 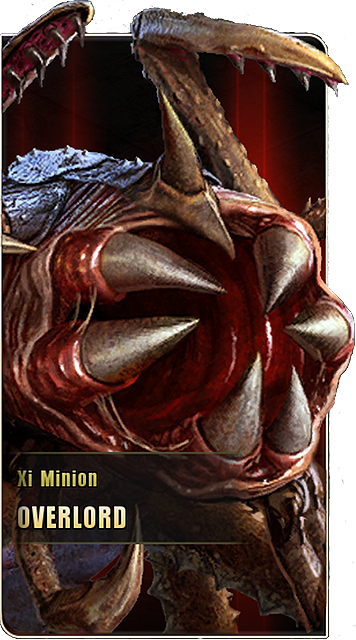 I’ve encountered it Once, it just trolling around on the edge of my base for what seems like ages and NOT comes attacking (invasion alert, like Dominion). Then suddenly the usual Base Under Attack siren blows off. Only this time there’s one unstoppable “prick” charging the base along with the other bugs. My knife attacks couldn’t even halve its health. Low repair cost, but irritating to get beaten by such an Ugly Prick. Sorry. I am Lv.12-13, currently stuck on 2 Hack Missions in the Story, 1 on is the last hack on Psionic Base & the other at the Outpost, slowly grinding for Data Disks. Have almost maxed Stormbreaker Damage, 1st damage upgrade on the Fighter AR. Do you think i could beat it using these, upgraded maybe? Or should i try get Vulcan MG, Chopper Shotgun (where did i read shotguns are best for bugs? ), Guard Armor, Assault Rifle Stasis Shot….? Noob101; you only need to beat the Overloard once, so you can get the acid pistol data (the acid pistol will be your best friend for a long time). To get the data, you have to beat it in a real fight, not on your base map. After you’ve got the data, don’t bother fighting it again – knife the minions, let th3 mother kill itself on one building and repair it. Assuming you still need the acid pistol data… it’s been a while, but I would say use an AR with stasis. The shotgun is only good for insects once they come up close – maybe ok for the minions but the mother will smoke you if it’ that close. I think I actually had bought the Megathrone at the time, but if in doubt, look at these walkthrough videos – they guy who does them tends to use the lowest weapons and armor so if he can do it, we can too,. 1. The player seems to have some motivation saving his aimed shots for the minions, I find this strange because i relied on aimed shots for most if my fights. 2. When the boss glows red like how a soldier going to fire, I’m not sure what is that signal for, no other bugs ever glows red, did they?, makes me think it’s warning for the 2 grenades launchs by the minions? But grenades usually only voice-warned by the player, if any. 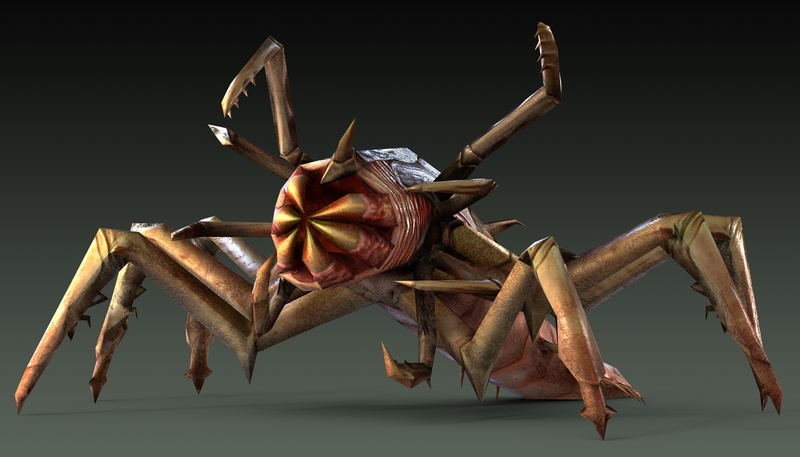 Is it stronger than a Lv4 Terror like the “Demolisher (Minigun Man)” / “Pink Sliders” ? The Overlord glows red when he’s about to release his minions. Unlike a soldier glowing red, an aimed shot will not stop this from happening, so maybe that’s why in the video he uses his shot on the parasites. They can be a pain when they rush you so prioritise them as soon as they form. The Overlord will just sit there spitting occasionally, until you get its health down to about 25% – then it might come forward.